An interesting season awaits for Welsh County Teams in the CDCCC! Bouncing back with immediate promotion following their relegation to the Sinclair last season West Wales A are looking to challenge for the Title this season. This will be no easy task with the two front runners – Yorkshire A and Essex A both having average ratings over 2300 and counting CC GM’s amoung their numbers. However the draw has not been unkind and anything is possible! Following successful promotion (as East Glamorgan) last season the EW A team are runaway favourites for promoton this season with an team rating almost 200 elo above their nearest rivals. Things are rarely so straighforward but anything less than promotion would not meet expectations! Welsh interests here are both the East and West Wales B Teams. The division is always difficult to call with so many players new to CC but both teams are in the running for promotion! We have been challanged to Friendly matches by Scheming Mind and Yorkshire. Both will have oppotunities for all ratings. Congratulations to Gareth Yeo on becoming the second Welsh player to earn the ICCF title of Correspondence Chess Expert! Here is Adam's game against the Morra Gambit. 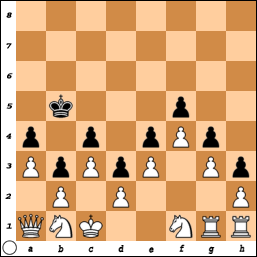 Paul Lamford Wales First Correspondence IM challenges you to solve this White to Play and Win ! With computers now beating top players at Go, and having long conquered chess and backgammon, it is slightly gratifying to find that the world's leading chess computers cannot solve the puzzle below. They might, given powerful enough hardware, no doubt. Yet four of the world's leading players at the time, Kasparov, Nunn, Speelman and Timman solved it in under half an hour when given it 35 years ago.Maybe there is some hope for mankind yet. Ian Jones manages to draw his game in the recent Wales v Latvia match! 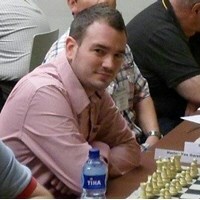 Here is Ian Jones's extraordinary sacrificial game against Alvis Zvirgzdins (Latvia). Y Gweilch NiMo have won the British WS Team Tournament - Division 3. This is a Four man team event and Y Gweilch NiMo were undefeated all season. The crossable can be seen below. If you are interested in playing next season, or even entering a team please contact Russell Sherwood. They won by a clear 3 points from Hertfordshire A having scored 12 wins and 4 draws from their 16 games. 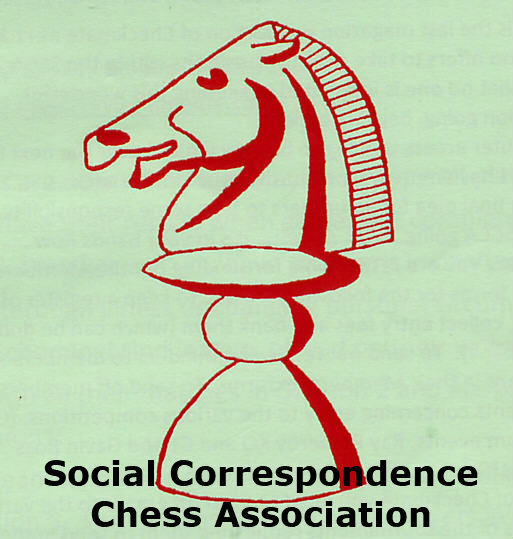 If you are interested in playing County Chess please contact Russell Sherwood.